Washington : Using a radio antenna not much larger than a refrigerator, astronomers have detected for the first time a signal from stars emerging in the early universe. The researchers discovered that ancient suns were active within 180 million years of the Big Bang, according to a study published in the journal Nature. 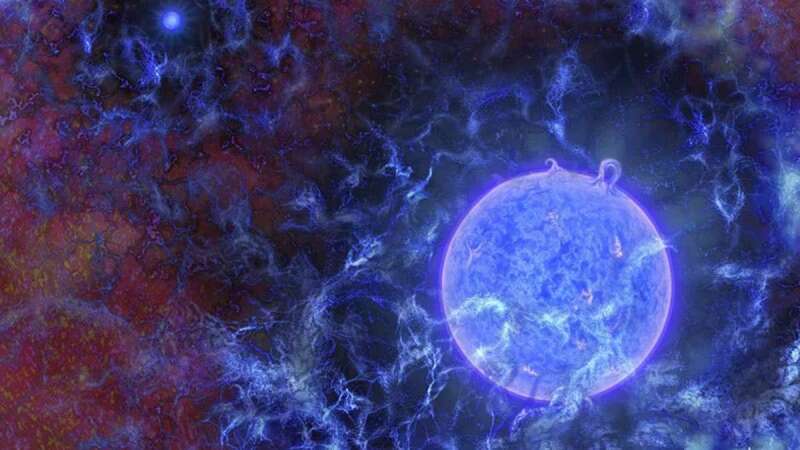 "Finding this miniscule signal has opened a new window on the early universe," said lead investigator on the project Judd Bowman of the University of Arizona in the US. "Telescopes cannot see far enough to directly image such ancient stars, but we've seen when they turned on in radio waves arriving from space," Bowman said. Because telescopes cannot see them, though, astronomers have been hunting for indirect evidence, such as a tell-tale change in the background electromagnetic radiation that permeates the universe, called the cosmic microwave background (CMB). A small dip in intensity, for example, should be apparent in CMB radio signals, but Earth's crowded radio-wave environment has hampered astronomers' search. The researchers set up the EDGES antennae in the desert to eliminate as much radio noise as possible, selecting an isolated site at the Murchison Radio-astronomy Observatory in Australia, run by that nation's Commonwealth Scientific and Industrial Research Organisation (CSIRO). The researchers suggest this means either the fog of hydrogen gas so soon after the Big Bang was colder than expected or that background radiation levels were significantly hotter than the photons of the CMB. The study authors suggest one possibility is that dark matter interactions may explain the effect. "If that idea is confirmed, then we've learned something new and fundamental about the mysterious dark matter that makes up 85 percent of the matter in the universe. This would provide the first glimpse of physics beyond the standard model," Bowman said. "This discovery opens a new chapter in our understanding of how the world we see came into being," said Peter Kurczynski, the US National Science Foundation programme director who oversaw funding for EDGES.